The common scenario for the mobile IoT Gateways is to cache collected data locally on the device storage and synchronizing the data with the data center. 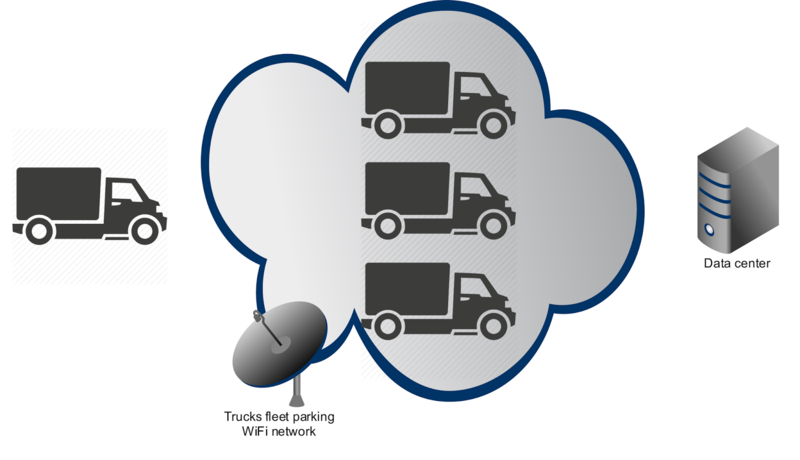 The common scenario for the mobile IoT Gateways, for example those mounted on the trucks or the other vehicles, is to cache collected data locally on the device storage and synchronizing the data with the data center only when trusted WiFi access point is available near the gateway. Such trusted WiFi network could be localized near the truck fleet parking. 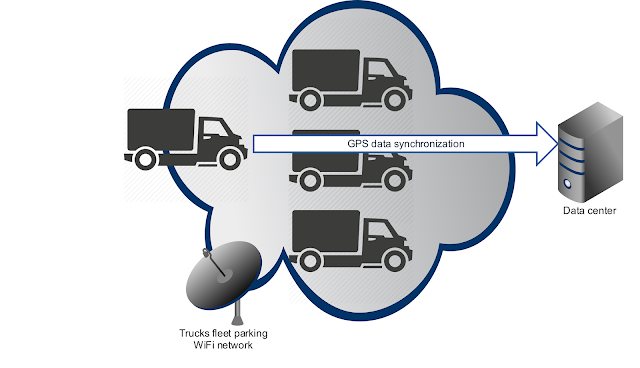 Using this approach, less urgent data (like GPS coordinates stored for the further offline analysis) can be delivered to the data center without the additional cost related to the GPS transmission fees. Camel Kura WiFi component from the Camel IoT Labs can be used to retrieve the information about the WiFi access points available within the device range. Under the hood Kura Wifi component uses Kura org.eclipse.kura.net.NetworkService. All the other dependencies will be pulled by the Maven transitive resolver. Kura WiFi component supports both the consumer and producer endpoints. In practice it means that you can either periodically scan for the WiFi networks (consumer mode) or explicitly request the single scan (producer mode). Keep in mind that both network interface and SSID can be replaced with the * wildcards matching respectively all the network interfaces and SSIDs. ...where KuraRouter is the base OSGi bundle activator for Camel routes deployable into Kura. In the first place Kura Wifi component tries to locate the org.eclipse.kura.net.NetworkService instance in the Camel registry. If exactly one instance of the NetworkService is found (this is usually the case when if you deploy the route into the Kura container), that instance will be used by the Kura component. Otherwise new instance of the org.eclipse.kura.linux.net.NetworkServiceImpl will be created and cached by the KuraAccessPointsProvider. Smart WiFi connectivity is fundamental for every mobile IoT gateway solution. Camel Kura WiFi integration makes WiFi scanning process as easy as adding a few lines of the DSL. Your gateway application should try to cache the data collected from the sensors and avoid using the expensive mobile connectivity whenever possible. The efficient IoT gateway should synchronize the stored offline data when the trusted WiFi network is available.